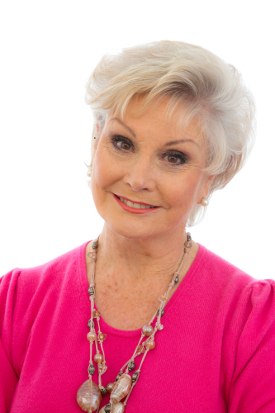 Journalist and broadcaster Angela Rippon, 68, talks to Liz Parry about her diet and exercise regime and the importance of looking after your legs. Q: At Your Healthy Living we always like to find out how celebrities keep themselves fit and healthy. Do you follow a particular diet or healthy eating regime? Angela: "I’m gluten and lactose intolerant and have been since I had a very serious case of food poisoning about 20 years ago. That helps because it means I don’t eat a lot of bread and cakes! I do eat dairy foods but they tend to be from sheep or goats. I also have soya milk and cream. Fortunately there are many varieties of gluten-free pasta around so I’m able to enjoy wonderful lasagnas and spaghetti." Q: Do you enjoy cooking for yourself? Angela: "I love cooking - I’m an enthusiastic cook - and I love having friends come for dinner. I always cook everything from scratch - I never give anyone anything that has come from a tin or a packet. I have a wonderful organic food shop that is 200 yards from my front door so I’m able to source fresh vegetables quite easily. When I’m in Devon, where I have a home, I always buy from the local markets. I always try to buy organic and local produce. " Q: Do you take any particular supplements or vitamins? Angela: "I take acidophilus after having had the food poisoning, to rebalance the bacteria in my gut, and I take cod liver oil capsules because as you get older you need a little help to oil the joints. And from time to time I take ginseng as that helps with general vitality - certainly that’s something I need for my job. " Q: Do you ever worry about your health at all? Angela: "I suppose as you get older you do start to think how long is this machine going to keep on going? I have problems with my back as I used to ride and event in local clubs in Devon. I’ve had a couple of accidents and injured my back a couple of times so I have to be careful of that. I try to keep fit and healthy for the job that I do so I tend not to worry too much and, touch wood, I’m pretty healthy and still pretty supple. " Q: How do you look after your skin? Angela: "I don’t drink tea and I rarely drink coffee, but I do drink a lot of water and herbal teas. That helps to keep my skin hydrated. Since I was young I have always followed a very strict cleansing and moisturising regime and I exfoliate my skin regularly. As you get older the top layer of the dermis tend to be dry and flaky and that’s what will give you open pores and help to make wrinkles in your skin. If you keep getting rid of that top layer of dead skin cells you will reveal the fresher, clearer skin underneath." Q: Can you tell us about your work with the Activa LegHealth Campaign? Angela: "Basically it’s a campaign to make people understand how important it is to take care of your legs. Problems such as swollen ankles, varicose veins and leg ulcers can have a huge impact on your mobility. Once you lose your mobility you lose your independence. Many leg conditions are caused by poor circulation in the leg veins. These veins have the uphill task of carrying blood back to the heart and can weaken as gravity takes its toll over time. Fortunately, even serious leg problems can respond well to treatment." Q: What types of exercise do you enjoy? Angela: "I try to play tennis as often as I can, I enjoy cycling and I go to Pilates classes. It strengthens the core muscles which helps my back enormously. I need to be fit for the job I do as sometimes I will be filming from 7.30am till 9pm. It’s no good flagging in the middle of the day when you have a schedule like that!" Q: That is a long day! How do you keep your energy levels up? Angela: "I think I naturally have a lot of energy and I eat a healthy diet full of fresh fruit and vegetables and fish and chicken, so that helps. Also, I’m very fortunate in that I do a job that I love." Q: How do you relax at the end of a busy day’s filming? Angela: "I’m a voracious reader, I enjoy going to the movies and I like to have friends over for dinner - the same sort of things that most people do. I also enjoy tennis. It may not sound that relaxing, running around a tennis court for two hours, but you can’t really think about anything else other than the ball that’s coming over the net at you!"